Nuffield Health Fitness & Wellbeing Gym Edinburgh is located just off New Mart Road in EH14 to the west of the city, next to World of Football and the Edinburgh Corn Exchange. It is one of the most easily accessible gyms in the city with exquisite facilities too. Full of the typical equipment you would expect to find in any good gym, the centre’s treadmills, exercise bikes, free weights, resistance machines, squat racks, Synrgy360 and personal training room will help you on your way to the apex of health. The site’s 25m swimming pool means you can leave the weights to one side when you please, should you want to tread another route towards your fitness goals. The gym’s fully licensed café/bar offers you the opportunity to refuel or simply spoil yourself after making the most of the fitness facilities available too. 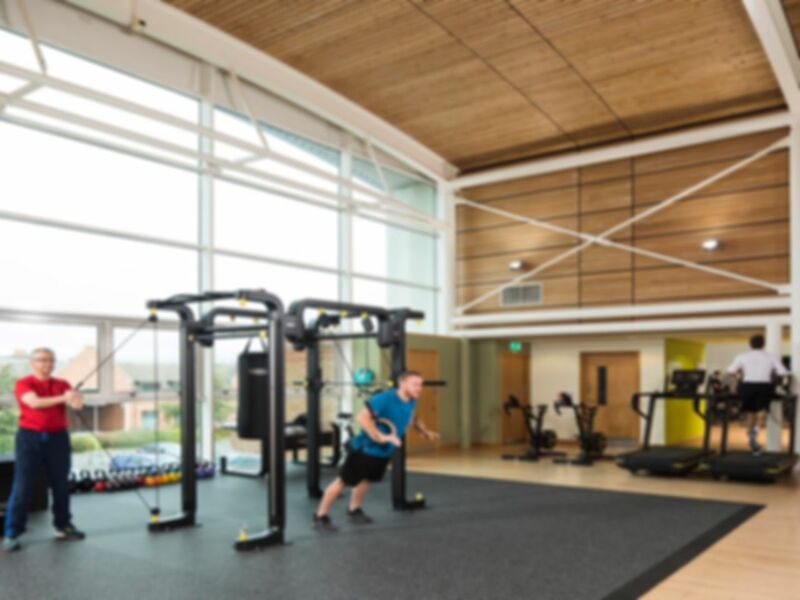 The gym is well suited for motorists with its free on-site parking and convenient location – New Mart Road is just a short drive from the A70 and the City of Edinburgh Bypass. In touching distance from a multitude of Rail Stations, those nearest the gym are Slateford (0.4 miles) and Kingsknowe (1 mile). These stations are served by the ScotRail network, which can be picked up from Haymarket or Edinburgh Waverley. Friendly and helpful staff, excellent modern gym facilities with top of the range Technogym equipment. Very nice pool and spa too. I have been using this gym since October and do enjoy coming, however, one of the spa/jacuzzi's has been out of use since then only leaving one which is always full. Seven weight machines in a row all out of order. Had to use a different gym this week. Large sized gym with plenty of equipment. Medium sized pool with spa area and steam room. Not too busy on a Sunday afternoon visit. Pool q busy but nice n warm,attendant cleaning male changing area,enjoyable visit.